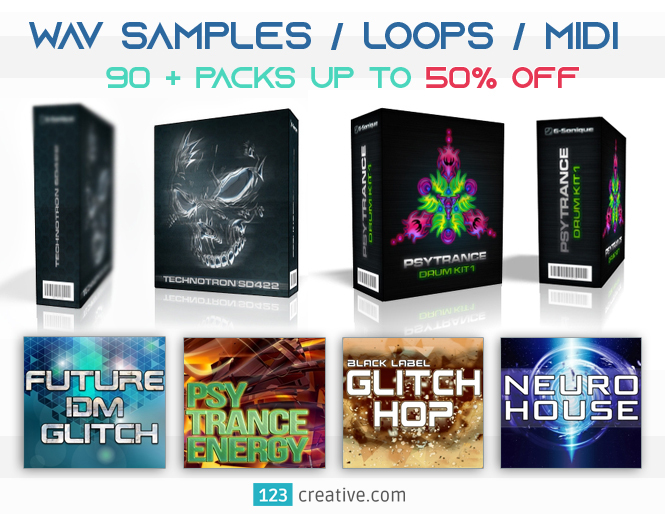 123creative has announced special discounts up to 50% off on all sample packs, loops and midi. This offer is suitable for producers of all electronic music genres. The campaign will run until 30th November.